This will be the third and final post that will introduce the rim, hub, and tire combination being used in our 650B wheel test. This part will focus on the new WTB Horizon 47mm 650B “Road Plus” tires. 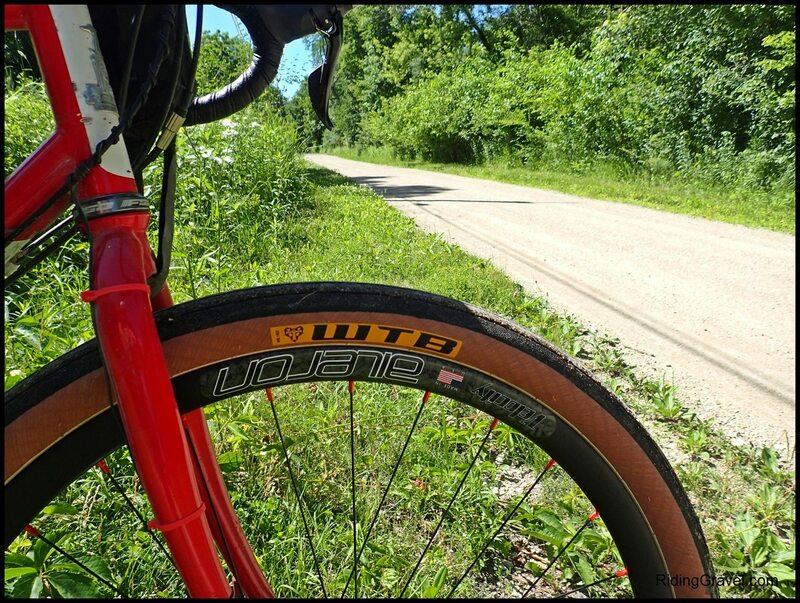 The Horizon 47mm tire is WTB’s take on a 650B road/adventure tire that they call “Road Plus”. The 650B Test: WTB Horizon 47 Tire The idea of using a fat, voluminous tire in the 650B format isn’t anything new. In fact, it is an old idea which became popular in and around France during the WWII era and beyond. Then the idea of converting old steel road bikes to fat, 650B tires and wheels became a somewhat underground, niche thing around the 1970’s-80’s. 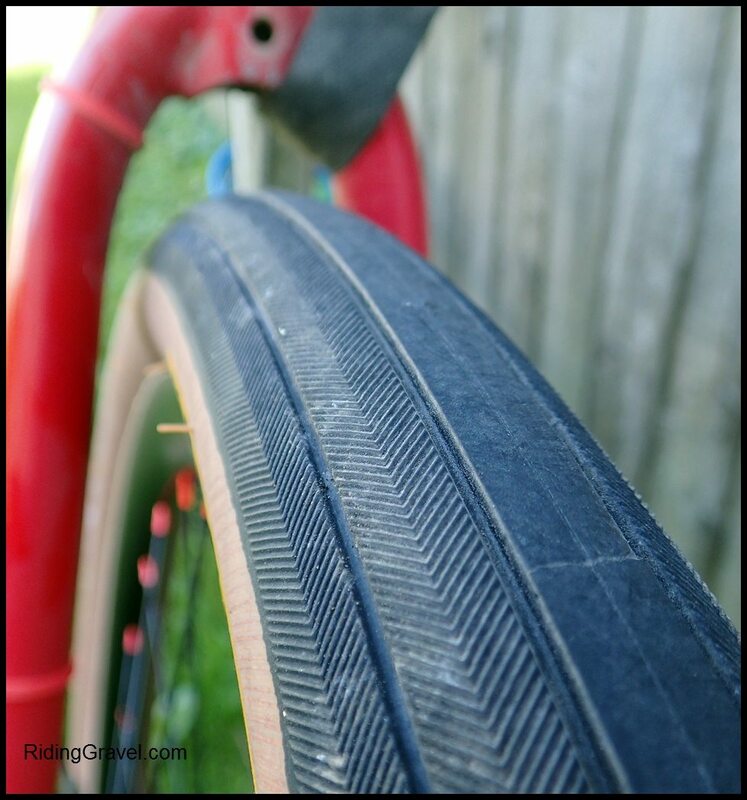 Of course, randonneuring/audax events have helped perpetuate the tire size all along. Today it is being marketed as an alternative to 700c sized tires and wheels for gravel/adventure/all road type bicycles. The Cannondale Slate being the most notable example of a bicycle that uses this wheel size just won the Dirty Kanza 200 under Ted King. So, is there anything to this wheel size for the rest of us mortals? That is what we aim to find out with our 650B Test and the Horizon tire. The Horizon 47mm tires are meant to be the same overall diameter as a 700 X 28-30mm tire, which is smaller than what we usually see on bikes like this Tamland. Design Intent & Features: The WTB Horizon 47mm tire is designed to mimic the overall diameter of a 700c X 28mm-30mm tire. WTB suggest that this will help it to fit into cyclo cross bikes and touring bikes without changing the ride height/bottom bracket drop of a bicycle too drastically. The Horizon tires are also designed with a tubeless Aramid bead that WTB calls “TCS” which stands for Tubeless Compatible System. The TCS designation in WTB’s line means that the process of setting things up and using them will be a seamless, easy to do and live with process. It should be noted that WTB also has excellent tubeless valve stems, tape, and sealant to complete the TCS suite of tubeless products. We’ve used TCS products throughout a wheel set and can confirm that it is one of the easiest, if not the easiest, systems to set up and use tubeless that you can buy. You can get WTB’s take on the “Road Plus” concept here, but we will stick with a focus on the tire’s features and then we can get on with this test. The Horizon 47 has a traditional herringbone tread pattern separated by “cornering channels”. Features of this tire are the aforementioned TCS Aramid bead and the tire also features a dual compound, “Road DNA” tread, with softer durometer rubber on the sides for enhanced cornering traction. The tread is a mix of four channels that separate four herringbone, file type tread areas with a central tread area that is slick and has no tread design. Weights & Tubeless Set Up: WTB claims a weight for the Horizon 47mm tires at 520 gm. The weight of the two tires sent to us was 510 gm, so this falls within expectations. The wheels, which we detailed for you in two previous posts, are not WTB components. The Velocity Aileron rims are tubeless compatible, and I was curious to see how the Horizon tires would work. I will note that the rims were set up with Velocity’s “blue” tubeless tape and a set of Bontrager Road tubeless TLR valve stems. Mounting the tires was easily done by hand with effort, and I felt the fit was snug, but not overly tight. I used Stan’s sealant, about three ounces in each tire, and they pumped up easily with an old Blackburn floor pump. This was perhaps one of the easiest tubeless set ups I have tried yet. The tires were set to approximately 30psi and held air overnight very well, losing only a couple of pounds of pressure. Initial Impressions: The Horizon 47mm tires were then set to 30psi rear and 27psi front. I rode them initially around the city and during commutes and after a couple of rides the tires measured 46.3mm on the Aileron rims. I will take another measurement after some more riding has been done to determine if the Horizon stretches any at all. The tires roll fast on pavement, as you would expect, and even at what seems like very low pressures, it has little resistance to rolling. The casing works over bumps and depressions in pavement well, giving the rider an almost suspension-like feel from the bicycle. While out on gravel the tires damp vibrations well, however, the looser gravel makes the tires dance around a bit, which can be unnerving. I’ll have more soon in our Checkpoint update which will touch on all three parts of this review, the tires, rims, and the rear hub. Look for that in a few weeks. Note: The component parts of these wheels were sent to Riding Gravel by the various brands/manufacturers for test/review at no charge. We are not being bribed, nor paid, for this review and we will strive to give our honest thoughts and opinions throughout. @shiggy: I’m on it and have found some things I like and don’t like so far. I’m going to keep tweaking, but I think, as with other big volume/low pressure tires, the air pressure changes that are small ones make huge differences in ride feel. I may have to change my thinking after reading your article. @Cory: First off, I want to let you and anyone else that sees this comment that I will have a direct comparison of these wheels vs 700c gravel wheels as my next update on the Horizon tires. I have been considering the differences a lot over the past week or so, as a matter of fact. Tread vs No Tread: Well, I always have been a big advocate for low/no center tread and laterally placed side lugs for gravel tires. I feel it gives a tire for gravel roads a fast rolling, easy to spin up feel, plus it goes fast on harder surfaces, and obviously is best on pavement. 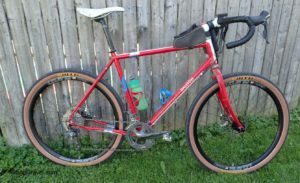 Side lugs, like those on Challenge Tires’ Gravel Grinder model, tend to help stabilize the tire on marbley, loose gravel, lend a bit of bite in dirt for cornering, and do not get in the way when you are on pavement. The Soma Cazadero does a solid center line, or nearly so, with an otherwise fully treaded design, and that’s another way to do it. A total file tread tire is something I have tried before, (Panaracer Pasela 38mm), and it was a bit unstable in loose gravel and had a tendency to “cut in” when terrain was loose, or gravel was deeper. Mud or softer surfaces were not very easy with that tire either for that reason. The Horizon mitigates these issues due to its width and the ability to run really low pressures. However; I still feel a bit of lateral instability there in loose gravel, which is disconcerting at times. Thanks Ted! Looking forward to the article. When I set out to do another frame up build last winter, for a gravel bike, I really wanted to go 650B as all my higher end bikes, that I owned, were 650b. I like that wheel size. 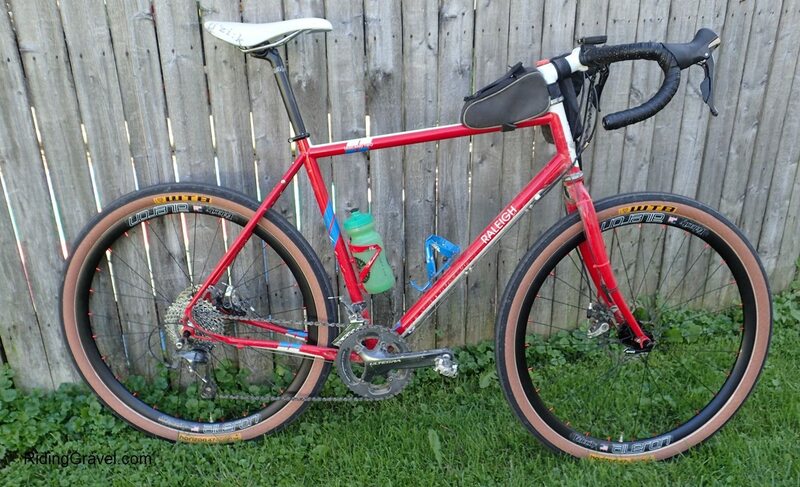 But I started looking at how limited the tire selection was for 650b once you ventured out of the MTB world. That made me nervous. If I was ever far from home with my friends(riding events etc), and had issues, any bike shop would most likely have a suitable 700c tire I could buy but not so most likely for 650b. 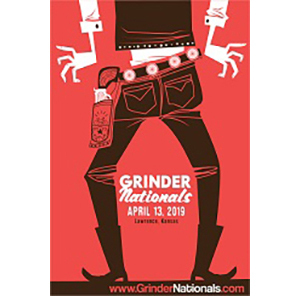 I want to go with a 40+ size tire next (as my current tires are getting worn out) but I am nervous about slapping a tire that big on a 700c wheelset and changing my standover, bb drop, and geometry too much. 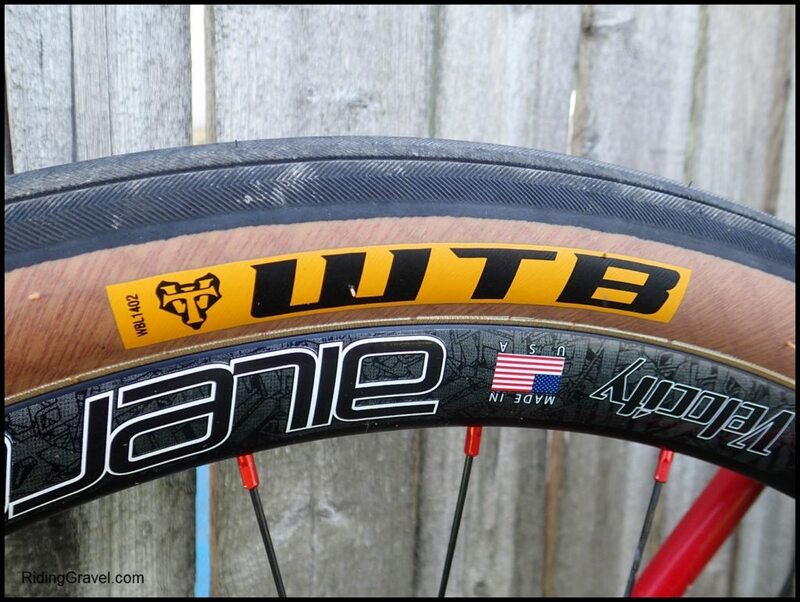 @Ben- These tires use WTB’s “Lightweight” casing technology which does not have a puncture protection belt. How comfortable would you feel doing some touring on this wheel/tire combo? @Dave- Very comfortable with that idea. In fact, I thought about that very early on in my trying this tire out.